This time of the year the porch is my favorite part of the house. We use it regularly mid-May (or after the severe pollen run) through the end of October here in the South. I've been doing a few projects for our porch that I can't wait to share with you. I'll have a big one up on Friday! Here is a shot from our screened porch last year. Hint! That door is going to be looking different for Friday's post. You can see more of our porch HERE. I've been sharing behind the scenes of the project in progress on Instagram. I'd love for you to join me on Instagram HERE. 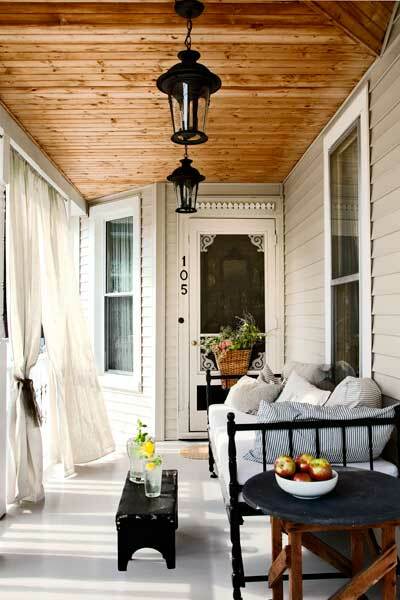 I am in love with the vintage charm of this porch! The ceilings are just lovely! Talk about bringing the indoors out! There is even a TV!! Lisa's porch is so warm and inviting over at Pennington Point. 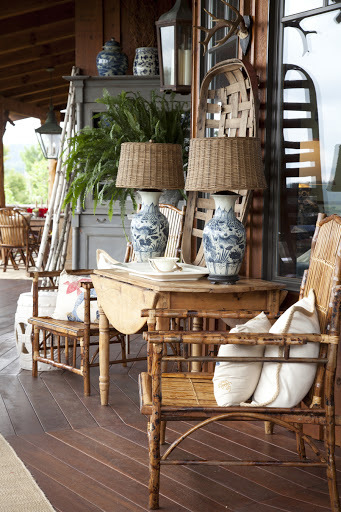 You've got to check out the other photos from this porch! It's a stunner! 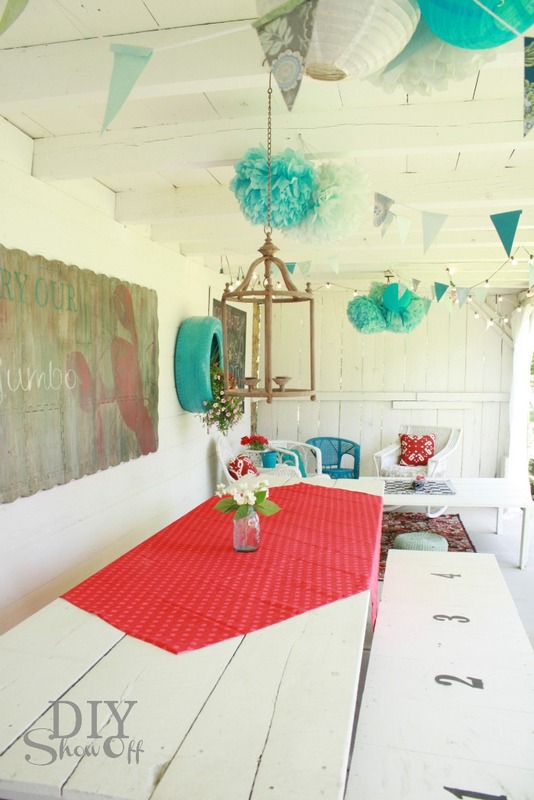 You won't believe the before pictures of Roeshel's porch from the DIY Show Off! Here is our front porch from last summer. You can find it HERE. We love our little fire pit. Many family memories have been made here. I just made these simple pillows found HERE. Such a fun spot! Warmer temps in the south mean that it is time to pull out the bug spray and citronella candles! What makes a great outdoor space in your eyes? I'd love to hear from you. Do you have any special outdoor living projects planned for this summer season? Join the fun on Instagram and Pinterest! Are you looking to grow your Google+ circles? Visit my Google+ page for linking up to the Mommy Is Coo Coo party that is live today! Use the #mommyiscoocoo hashtag to share any creative posts you make have! Thanks so much, Robin! Your porch and entire home are just beautiful!! !